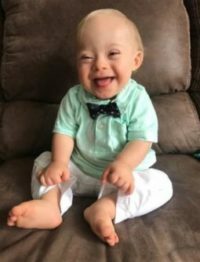 The 2018 Gerber baby is Lucas Warren, a 1-year-old from Dalton, Georgia who is the first child with Down syndrome to be named a Gerber baby since the contest’s start in 2010. Cortney Warren said she entered the Gerber contest on a whim, after a relative pointed out an ad seeking submissions. 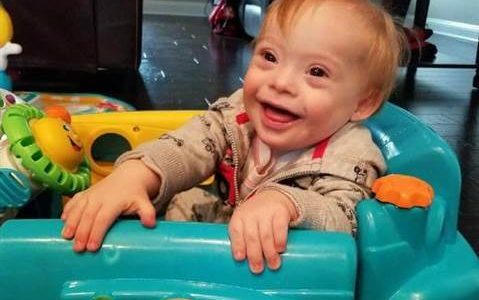 After posting a photo of Lucas on Instagram using the contest’s hashtag, Cortney and her husband, Jason, received the news that their son had been chosen from more than 140,000 entries to be the 2018 Gerber Spokesbaby. 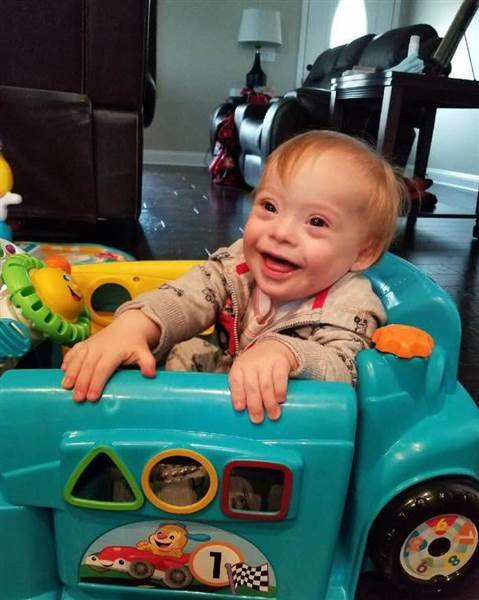 Bill Partyka, CEO and president of Gerber, says Lucas’s smile and happy expression captured the hearts of the Gerber team.